Getting sick can really take the life out of you, Fangirls. Unfortunately, what we nerds need most in life is the strength to get excited about things, and to stay up late on Tumblr or reading comics. So when we get sick, there is no doubt that our Fangirling output seriously declines. And we can’t have that. Which is why I consulted a real, all knowing Abuela to give me the best cure-all soup recipe. All of this crazy back and forth weather we’ve been having is really throwing some people into the throws of another cold season, not to mention allergies like you wouldn’t imagine. When a nasty cold struck my closest Fangirl, I knew I had to whip up something to soothe the soul, and the symptoms. Of course, the only place to look is in the recipe book of cherished Puerto Rican Abuela. That’s a grandmother for those who don’t speak Spanish. 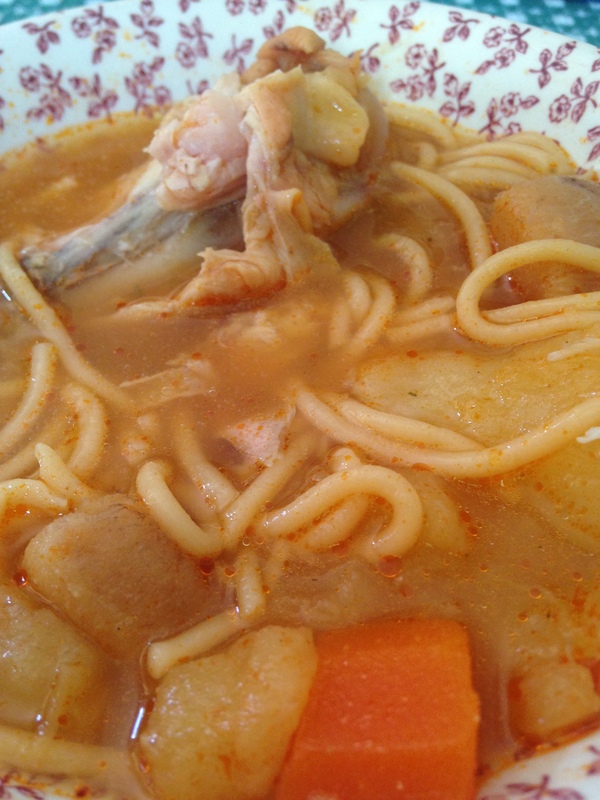 Fear not, Fangirls, I bring you the ultimate Sopa de Pollo (Chicken Soup). 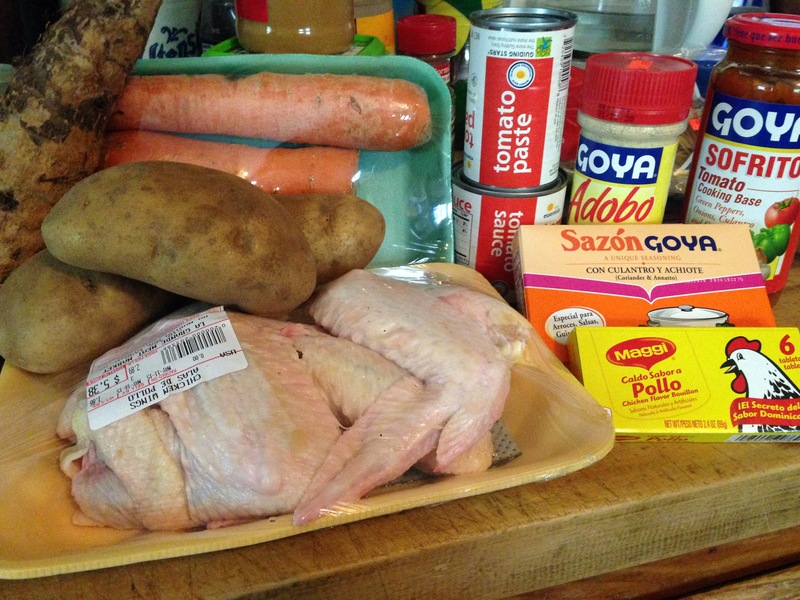 For anyone who enjoys Hispanic cooking, a lot of these ingredients are things that will be on hand in the pantry. For others, you might need a trip to the grocery store. Or rather, your local Spanish market or bodega. You might not be able to find some of this stuff right in a normal grocery store, but I easily found them at a small Puerto Rican market in Albany. If you can’t find it, there are many substitutes or ways to make things yourself that you can research! First, get a big ol’ pot. This recipe makes a lot of soup, so get a big one with plenty of room. Add the six cups of water, and bring it to a boil while you prepare the chicken and vegetables. 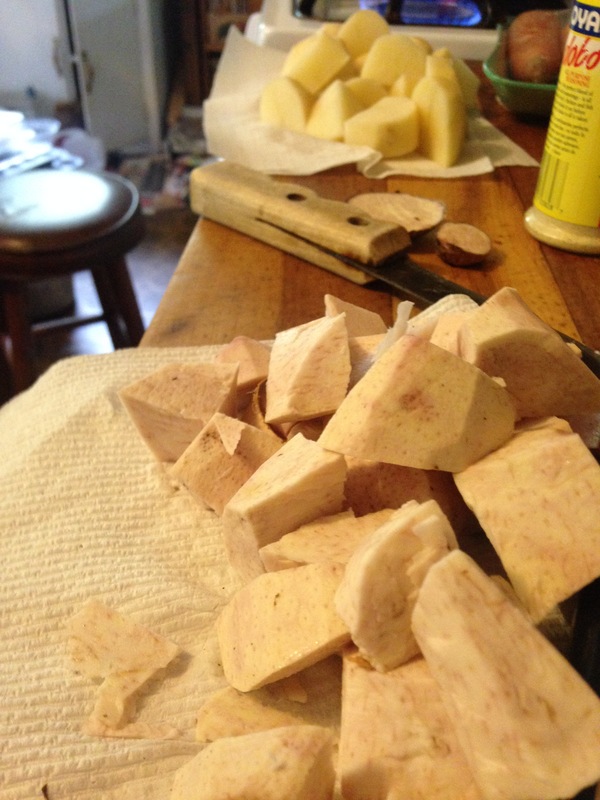 Clean the chicken and trim anything that needs trimming, then season it with some Adobo. This will be separate from the amount that you will add to the soup itself. Chop up all of the vegetables into fairly big chunks, they’ll be cooking for awhile so don’t worry about them cooking all the way through. Once the chicken is seasoned, and the vegetables are chopped, you’re ready to start making the soup. 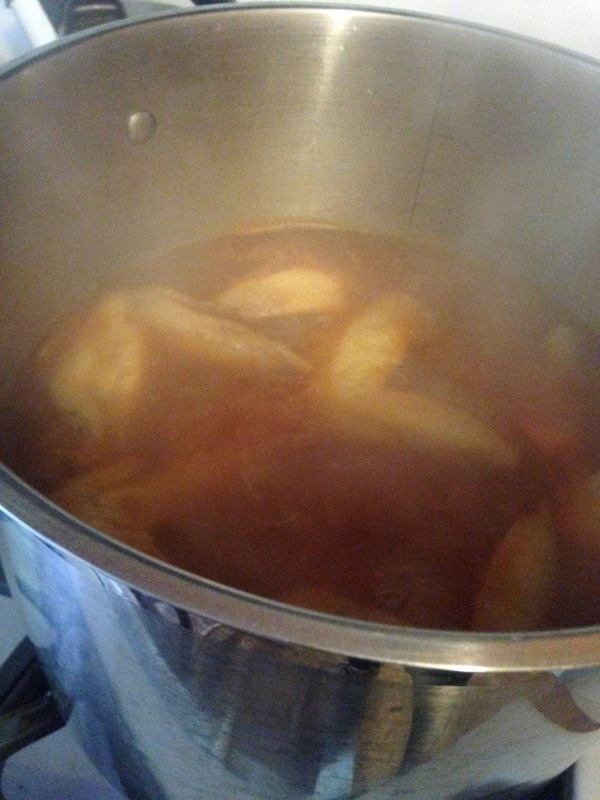 To the boiling water, add the chicken, sazón, sofrito, tomato paste, tomato sauce, oil, and salt to taste. Mix everything together well, then let it simmer. You’ll want to cook this on medium heat until the chicken and vegetables are somewhat tender, about one hour. Check on it every once in a while to check the state of the chicken and vegetables. Once things are starting to get really nice and tender, it’ll be time to add the noodles. 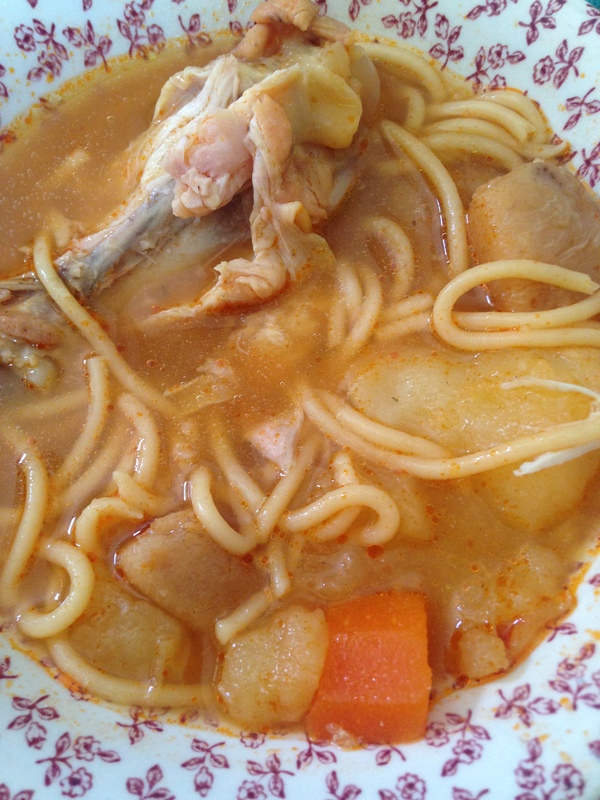 Continue to cook the soup on medium heat until the noodles are cooked and the broth thickens up a bit. Once everything is tender, the noodles are cooked, and all the flavors are exactly how you want them; You’ve got some soup fit to cure any Fangirl. Of course, it’s best if this soup is made for you by someone else who is not sick. I swear it tastes better that way. Eat up, Fangirls! And get well soon!